Fever blisters can be very painful, annoying and a bit embarrassing when they decide to show up unannounced. You may think there is nothing you can do but it is possible to slow, or even stop the painful experience. 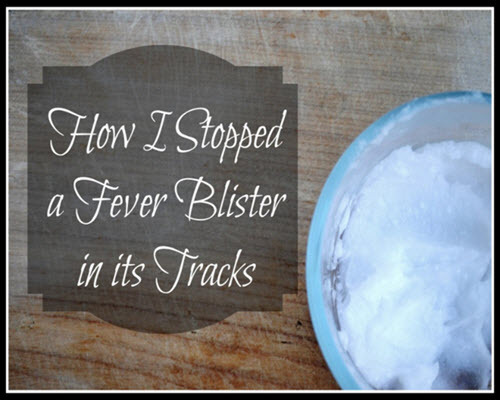 This completely natural remedy is worth a try the next time you feel a fever blister coming on.